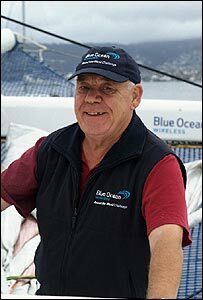 Veteran yachtsman Tony Bullimore has run into difficulties just days into his round-the-world record attempt. The Bristol-based mariner is aiming to beat Dame Ellen MacArthur's solo record of 71 days, 14 hours and 18 minutes, which she set in 2005. But just four days into his quest strong winds caused the main sail on his 102ft catamaran "Doha" to snap. He has now repaired the sail and has been able to cross the international dateline, south-east of New Zealand.